The MSG Mini Staggered Lamp Strip is available in T8, T5 and T5 HO 1 and 2 lamp configurations. 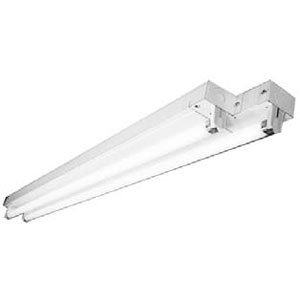 Ideal for cove or cornice lighting wherever uniform, uninterrupted illumination is necessary. The 3” lamp staggers eliminate dark spots caused by back-to-back sockets on standard strips. 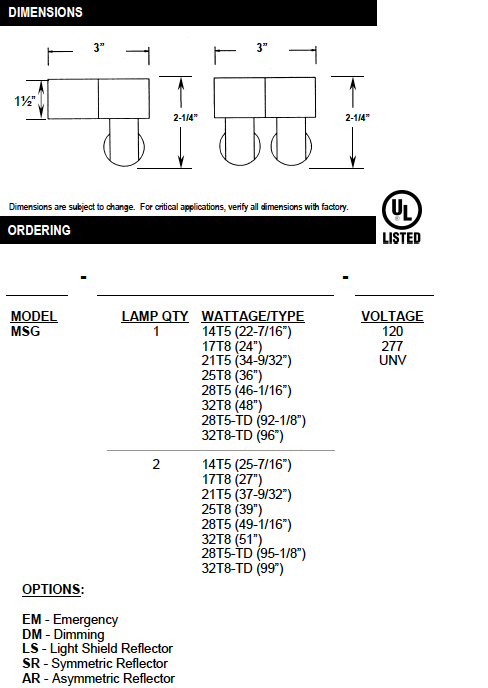 Optional side mount lamps where space is extremely limited. Optional symmetrical, asymmetrical, and light shield reflectors available. For surface or pendant mounting, individually or in continuous row. Die-formed heavy gauge steel welded for maximum strength. All metal parts are post-painted with premium grade white enamel with minimum 89% reflectance, applied over iron phosphate pretreatment, for maximum adhesion and rust resistance.